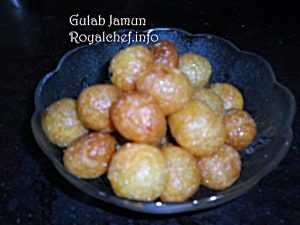 This Recipe is for preparing at home soft and delicious typical Mithai Shop Style soft and delicious Gulab Jamun. This is a Sweet dish, which is very popular all over India and is prepared on festive occasions. 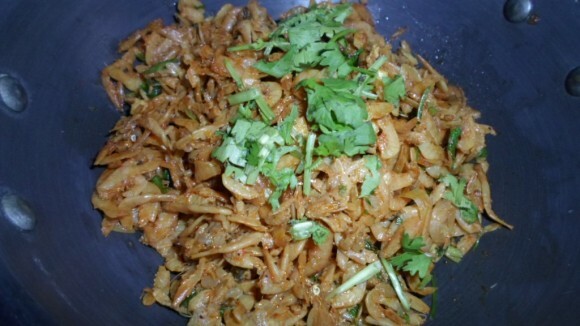 First take Khoya and either shred or grind it in a mixer and then add Suji and Soda to the mixture. In a frying pan take Sugar and add ½ cup water and boil, this is the Syrup After that add Cardamom powder to it. Then prepare about 50 small balls and one by one deep fry them in the Ghee on a slow sim till color change in to light brown and then put the fried ball in to the Syrup.